Popular political think tanks like Sass Rogando Sasot and RJ 'ThinkingPinoy' Nieto, hit Robredo for her ill-informed rants. Sasot, an international relations scholar, says Robredo should stop talking about stuff she is privy about. "Hambantota has struggled to make money, partly because it is fairy isolated. With no industrial hub nearby, there are no natural customers on its doorstep... The island's total debt stands at $64bn. About 95% of all government revenues go towards debt repayment. So instead na magbubunganga ka diyan ng mga "slogan" at shallow assessment of what happened in another country, PLEASE lang Mrs Robredo, prove to us that you are worth your salary: present to us an ACTUAL analysis that the infrastructure development in the Bicol region or anywhere in the Philippines financed by Chinese or any loan would suffer the same fate as Sri Lanka's Hambantota port," Sasot wrote on her Facebook page. On his part, Nieto hit Robredo for not setting her priorities right. Pero hindi siya nagdalawang-isip na gumastos ng milyones ng pondong pampubliko para igawa ng museo ang yumaong asawa. Nasasakyan ba yang building na 'yan, 'teh? Gurl, kumusta naman ang priorities? 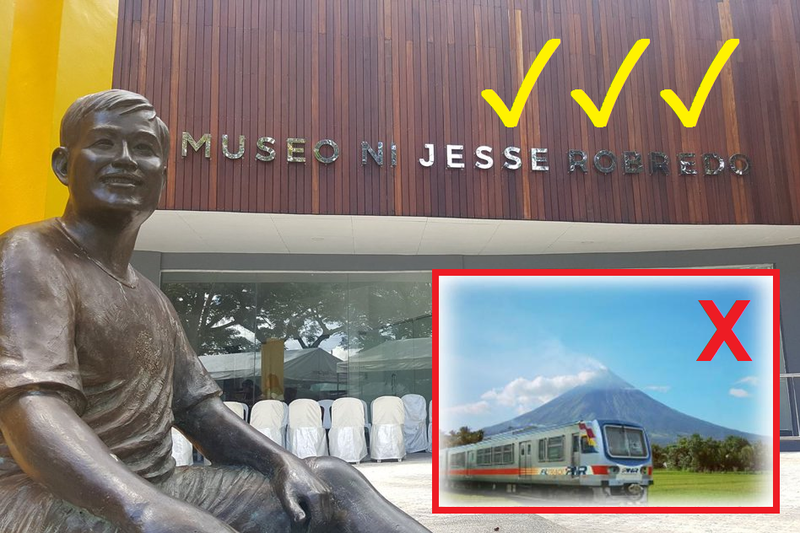 In August this year, the Museo ni Jesse Robredo opened in Naga City, just in time for the fifth death anniversary of former Naga City Mayor and Interior Secretary Jesse Robredo, who died in a plane crash in 2012. National Historical Commission of the Philippines (NHCP) Chairperson Rene Escalante described the museum as a "governance and teaching museum" as it showcases the kind of governance Jesse displayed as a local chief executive of Naga for two decades. He added that the Museo ni Jesse Robredo pays tribute to the exemplary life and legacy of good governance of the long-time local executive. These claims about Robredo aren't not entirely proven and most probably not shared my a wide portion of Filipinos. The problem lies within this sentence: The NHCP funded the museum and will shoulder its operational expenses. Whaaat? Public funds were spent to build this museum? It seems to be the case. The National Historical Commission of the Philippines (NHCP), by virtue of Republic Act 10086, is responsible for the conservation and preservation of the country’s historical legacies. Its major thrusts encompass an ambitious cultural program on historical studies, curatorial works, architectural conservation, Philippine heraldry, historical information dissemination activities, restoration and preservation of relics and memorabilia of heroes and other renowned Filipinos. Judging from NHCP's mandate, there's nothing illegal act that was committed, but, developments like the construction of this museum, whether we like it or not, is political. Any project initiated by any government is always meant to serve its interests. The point is, Leni Robredo's hypocrisy bothers me. While she's very hesitant, even afraid, to fix Bicol's transportation woes, she had no qualms when the national government spent millions of pesos for her husband's monument and museum. In short, as tax payers of this nation, even the beleaguered victims of the Marawi and Zamboanga crises are paying to feed the egos of the Robredos. For someone who screams she's a low maintenance woman, what is happening in real life doesn't entirely fit the narrative that's she tries to live on.